Dreaming of making a career as a driver in some transporting company in London? Come to us at Dhoot Driving School in Wycombe, London for the best in class driver training and fulfil this wish of yours.We offer a comprehensive driver training course with the apt modules that together make an expert driver out of the individual who enrol with us. We have a set of expert trainers who are DSA trained instructors. Their specialty is that they are experienced enough to impart you the right training in a variety of languages, whatever be your dialect. It ensures that the driver course is not a hard nut to crack for you just because of the language obstacle. Dhoot Driving School has made its presence felt in many parts of London so choosing a location of your convenience is not a herculean task anymore. A glimpse of the different types of driver training you will be offered when you join with us is given below. â€¢	An LGV Class C+E qualified person can drive any weight LGV vehicle. The LGV C+E category C must driver goods vehicle more 750kg. â€¢	The training course ofDhoot Driving School for Passenger carrying vehicle will teach you all types of PCV D. Then you will get the license to drive any PCVâ€™s like a D1 manual coach or D Automatic Bus or D Manual Coach, Single or a Double Decker and D1 Minibuses. â€¢	In Europe and UK, EU Directive 2003-59 has introduced Driver Certificate of Professional Competence or CPC in 2009. It was being introduced for following the transport rules on the road for the safety of the public. So it is mandatory that aspiring drivers have to take a 35 hours compulsory CPC driver training (driver CPC modules 4 and 2) within Five years from their license date and should take a refresher course in this five years time intervals for continuing the commercial driving. 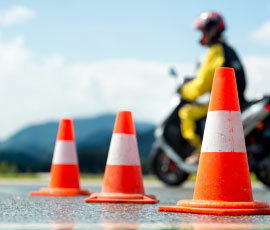 The CPC driver training module involves both theory and practical tests. In practical tests, real on road demonstration of all the rules and regulations that are required for safety driving is an essential. Eye testing from an approved optician for valid documentation is also mandatory. Dhoot Driving School will serve you the best services and eliminate all your problems with regards to the paper work by assisting you in completing the Medical Form and Provisional Entitlement Form (D4 and D2 respectively i.e. Driver CPC Module 4 and 2). After completion of these forms, it will be forwarded to the DVLA. The unique offering from Dhoot Driving School that offers refund options enables you to get driver training full-fledged, without losing your hard earned money! Not just that! The driver CPC modules at Dhoot Driving School Wycombe, London will impart to you a greater confidence for the current driving abilities and also, you will master all the new traffic rules and laws of the driving setup. You will also get the pass protection and also PCV pass protection services too! And to add up to it all, there is the greatest plus, the chances for re-appearing in the tests. So worry not!Even if you fail to clear the exams in the first attempt, you will be entitled to get further chances to perfect yourself and clear it at the end. We will make it certain that you will have the best driving instructors and driving experience in the country so that you learn the techniques of driving safely and perfectly. We have quality guaranteed, new fleet of cars for your amazing driving experience, that are endowed with dual controls so you do not worry about crashing. Dhoot Driving School Wycombe, London is the apt place to start learning how to drive and to attain provisional driving license. 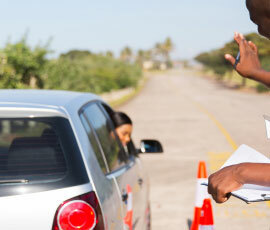 The decision to join us for getting trained in driving lessons is for sure going to be a turning point in your life. Dhoot Driving School takes all efforts to guarantee that the great driving programs are conceived and imparted to you so that the driving experience you witness in life is just amazing as it can get. Hurry now, come join Dhoot Driving School Wycombe and experience a unique driving experience!